The first analyst data evaluating China’s smartphone industry in Q1 2012 is out, with Apple reported to have more than doubled its market share, according data from Woori Investment and Securities, reported by Yonhap. Woori’s report concludes that Apple’s sales between January and March 2012 hit 6.2 million devices, up from 2.1 million units the previous quarter. This increase of almost 200 percent is said to have seen Apple’s market share shoot up from 8 percent to 19 percent, thanks to the launch of the iPhone 4S, which was introduced amidst chaotic scenes in January. The report notes that impressive sales of the new smartphone — which is being offered by two telecom operators for the first time — still leave Apple significantly behind Samsung, after the Korean giant’s quarterly sales hit 9 million, up from 6.7 million at the end of 2011. Those figures, Woori estimates, would extend Samsung’s market share to 28 percent (up 4 percent), putting it significantly ahead of the rest of the pack in the world’s largest smartphone market. 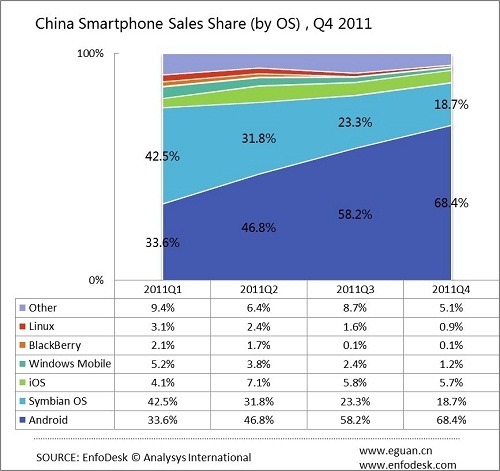 The firm reports that smartphone sales are continuing at a brisk pace in China, having increased by 156 percent year-on-year to account for 32 million sales during the first quarter of 2012. However, there is still plenty of scope to develop as smartphones account for just 30 percent of total handsets sales in the country, according to Woori. Apple doesn’t break down its sales data via markets so it is difficult to give definitive statistics or a clear indication of its progress, but the findings are significant. Referring to 2011 smartphone sales figures from Analysys, as other analyst reports for 2012 are yet to be published, the 16 percent overall market share is far greater a share than the portion of sales that Apple enjoyed at any point last year – which peaked at 7.1 percent of new device sales in the second quarter. The Woori data certainly pours cold water on claims that sales of Windows Phone 7 devices have seen Microsoft overtake Apple in the country. Microsoft backed away from media reports — which originated from comments attributed to Michel van der Bel, its COO for Greater China — providing a non-committal statement which suggested that there had been a miscommunication. Apple could extend its reach further still in China if it is able to partner with China Mobile and get a share of the operator’s 660 million plus customers. The pair are reported to be in talks over a deal to carry the device but, given the longevity of negotiations and compatability issues, any agreement would likely come around the launch of the next version of the iPhone, at the earliest. As it stands, iPhones are incompatible with the operator’s 3G network, but still more than 15 million subscribers use the smartphone on China Mobile’s 2G network. Apple’s recently repored quarterly revenues of $39.2 billion with a net profit of $11.6 billion. 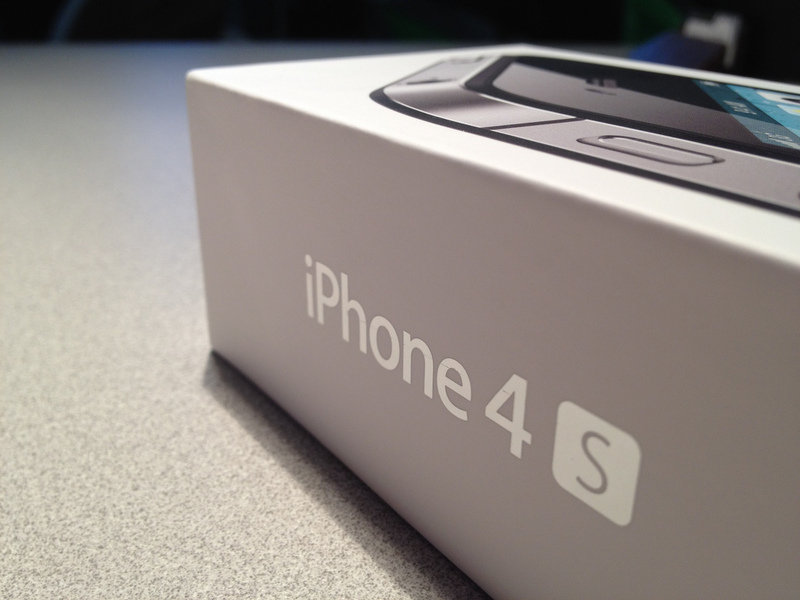 The firm disclosed that it sold 35.1 million iPhones and 11.8 million iPads during the three month period.